The global poultry feed premix market was valued at US$1.579 billion in 2017 and is projected to expand at a CAGR of 2.81% over the forecast period to reach US$1.864 billion by 2023. Premix refers to a uniform mixture of micro-ingredients along with diluents and/or carriers. The global meat consumption is largely dominated by poultry with pigs, poultry and fish among others being the primary end consumers of the premixes. The global poultry feed premix market is expected to witness a surge in demand in the coming years on account of growth in compound feed & additives industry, rise in demand for high value animal proteins, and increased industrial livestock production. However, the rising cost of the raw materials will restrain the global poultry feed premix market.  This research study examines the current market trends related to the demand, supply, and sales, in addition to the recent developments. Major drivers, restraints, and opportunities have been covered to provide an exhaustive picture of the market. The analysis presents in-depth information regarding the development, trends, and industry policies and regulations implemented in each of the geographical region. Further, the overall regulatory framework of the market has been exhaustively covered to offer stakeholders a better understanding of the key factors affecting the overall market environment. Identification of key industry players in the industry and their revenue contribution to the overall business or relevant segment aligned to the study have been covered as a part of competitive intelligence done through extensive secondary research. Various studies and data published by industry associations, analyst reports, investor presentations, press releases and journals among others have been taken into consideration while conducting the secondary research. Both bottom-up and top down approaches have been utilized to determine the market size of the overall market and key segments. The values obtained are correlated with the primary inputs of the key stakeholders in the poultry feed premix value chain. Last step involves complete market engineering which includes analyzing the data from different sources and existing proprietary datasets while using various data triangulation methods for market breakdown and forecasting. Market intelligence is presented in the form of analysis, charts, and graphics to help the clients in gaining faster and efficient understanding of the global poultry feed premix market. Major industry players profiled as part of the report are DSM, Cargill, Incorporation, AB Agri Ltd., Archer Daniels Midland Company and Phibro Animal Health Corporation among others.